The best dining tables measuring 150cm in length sold in the UK from several online stockists, including Furniture Today, Maisons du Monde, Worldstores Programmes, Robert Dyas, Great Furniture Trading Company, Oak Furniture Superstore, John Lewis, Oak Furniture Solutions and Furniture 123. 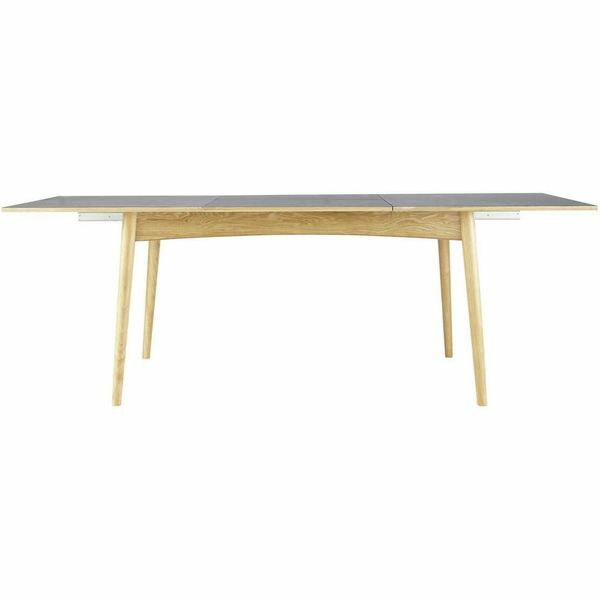 If you are interested in budget 150cm dining tables then the best choice is the Worldstores Programmes Moda 150cm Dining Table for £94.99. 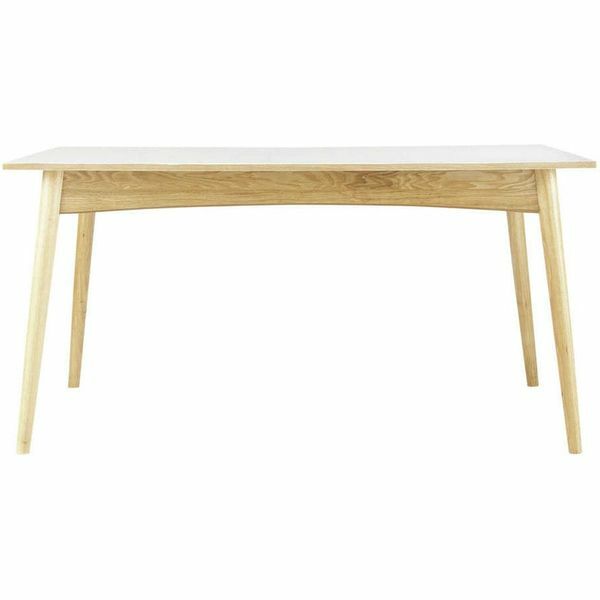 For middle-priced 150cm Dining Tables then consider the £450 Worldstores Programmes Molton Solid Oak 150cm Dining Table Small. The Contraste 150cm-230cm Extending Dining Table, Cherry costing £924.99 sold by Worldstores Programmes is amongst the most expensive 150cm dining tables. Find 150cm Dining Tables for sale on amazon.co.uk instead. You may also be interest in the following list categories. This list page has been viewed 329 times and it was last updated on Mar 14 2019, @ 08:00AM. If you want to compare 150cm Dining Tables prices online, then you can use the EAN codes (barcodes) listed below. If you want to compare 150cm Dining Tables prices online, then you can use the model numbers/names listed below. If you want to compare 150cm Dining Tables prices found in this list, then you can use the prices and product names listed below. The average price of 150cm Dining Tables is £379, based on 77 150cm Dining Tables found in this list. If you liked this list please share with your friends using the buttons below. The best dining room glass display cabinets sold in the UK from several stockists, such as The White Company, Oak Furniture King and Look Again. The best grand sofas sold in the UK from several online stockists, such as Barker and Stonehouse, LivingSocial - UK, SCS, Darlings of Chelsea and John Lewis. The best white gloss dining tables sold in the UK from several online stockists, including Great Furniture Trading Company, Oak Furniture Superstore, Furniture Today, Habitat, Achica, Worldstores Programmes, Harveys Furniture Store, Furniture 123 and Oak Furniture Solutions. The best wall mounted wine racks sold in the UK from several brands, such as House Additions, John Lewis, Walltech and Bar Craft. The best high gloss extending dining tables sold in the UK from several online stockists, including Oak Furniture Superstore, Furniture Today, Achica and Furniture 123. The best striped dining chairs sold in the UK by several online stockists such as Great Furniture Trading Company, Bed Store and John Lewis. The best fabric dining chairs sold in the UK by several brands including Great Furniture Trading Company, Oak Furniture Superstore and LPD Furniture. The best round glass dining tables sold in the UK from several online stockists, including Great Furniture Trading Company, Furniture Today, Choice Furniture Superstore, Worldstores Programmes, Harveys Furniture Store and Oak Furniture Solutions. The best linea nesting tables sold in the UK from House of Fraser online store. The best oak extending dining tables sold in the UK from several online stockists, including Great Furniture Trading Company, Oak Furniture Superstore, Oak Furniture King, Furniture Today, John Lewis, Worldstores Programmes, Habitat, Robert Dyas, Oak Furniture Solutions, Made.com and Harveys Furniture Store. The best round extending dining tables sold in the UK from several online stockists, including House of Fraser, John Lewis, Oak Furniture King, Robert Dyas, Oak Furniture Solutions, Harveys Furniture Store, Worldstores Programme,s Oakfurnitureland and Furniture 123. The best drop leaf extending dining tables sold in the UK from several online stockists, including Great Furniture Trading Company, Oak Furniture Superstore and Furniture Today. The best extending dining tables sold in the UK from several online stockists, including Great Furniture, Trading Company, Oak Furniture Superstore, Oak Furniture King, Made.com, House of Fraser, Furniture Today, Worldstores Programmes, John Lewis and Maisons du Monde. The best nesting tables sold in the UK from several brands, such as Linea, Made.com, Junipa, Furniture Today, John Lewis, LOFT, Multiyork Furniture and House Additions. The best bookcases sold in the UK from several brands, such as Breakfast at Tiffany's, Dams, Original Gift Company, Steens, AM.PM., La Redoute, Interieurs Cellularline, Boori, Feather & Black and M&S. The best two seater fabric sofas sold in the UK from several brands, such as Dunelm Collection, La-Z-Boy, Worldstores Collection, Furniture Village, Seconique, Contemporary Sofa Company, FurnitureStopUK Ltd and Ashley Manor fabric sofas. The best chaise longues sold in the UK from several brands, such as Dekoria, Churchfield, Feather & Black, John Lewis, House by John Lewis and Parker Knoll. The best four seater sofas sold in the UK from several brands, such as TFW, FurnitureStopUK Ltd, Maymun Limited, Made.com, Westbridge, Ashley Manor and Bouyant sofas. The best two seater sofas sold in the UK from several brands, such as Darker designs, Laura Ashley, Kyoto, Dunelm Collection, Bargain Crazy, Made.com, La-Z-Boy and Worldstores Collection sofas. The best three seater sofas sold in the UK from several brands, such as Darker designs, Kyoto, TFW, Bespoke Living, SofasWorld Collection, Home Loft Concept, Birlea and Leader Lifestyle. The best round dining tables sold in the UK from several brands, such as Junipa, Furniture Today, John Lewis, Ametis,Rattan Direct, Made.com, Great Furniture Trading Company, Shabby Chic, Bentley Designs Harveys, Barlow, Tyrie and 4 Seasons Outdoor. The best drop leaf dining tables sold in the UK from several brands, such as Oak Furniture Superstore, Furniture Today, TGB Furniture, HEARTLANDS, Wilkinson Furniture, Furniture Link, Birlea, Julian Bowen and John Lewis. The best dining benches sold in the UK from several brands, such as I ndian Hub, OKA, LPD, Habitat, Woood, John Lewis, Design Project by John Lewis, Ebbe, Gehl for John Lewis, Gopak, Seconique and Says Who for John Lewis. The best dining display cabinets sold in the UK from several brands, such as Furniture Today, Woood, Hazelwood Home, House Additions, The White Company, Vancouver, Dutchbone, Laura Ashley and John Lewis. The best wine racks sold in the UK from several brands, such as House Additions, Wickes, House by John Lewis, Neptune, John Lewis, Alessi, Walltech Hahn, Wireworks, Hadley, Gearbest and OKA. The best sideboards sold in the UK from several brands, such as Teknik, Great Furniture Trading Company, Bargain Crazy, Made.com, Multiyork Furniture, Furniture Today, Indian Hub, Oak Furniture Superstore and Design Project by John Lewis. The best dining table sets sold in the UK from several online stockists, including Great Furniture Trading Company, Bed Store, Oak Furniture Superstore, Oak Furniture King and Furniture Today. The best dining tables sold in the UK from several brands, such as Breakwater Bay, Geese, Great Furniture Trading Company , La Redoute Interieurs, Made.com, Oak Furniture Superstore, Junipa, John Lewis, Walker & Simpson and Charles Bentley. The best dining chairs sold in the UK by several online stockists such as Digital High Street, Great Furniture Trading Company and Bed Store.